Getting your credit card application rejected can be a terrible blow. Since each rejection will leave a mark on your credit history, it is better to pay attention to all the details and get it right the first time. Now, almost anyone has a credit card for different purposes. Some even have multiple credit cards. They are like the next important document after your ID. Credit cards make our life easier. Moreover, in certain situations, they are a necessity and not an option. So how come that something so basic as a credit card application can get rejected? How can you prevent getting your application refused? Let’s find out. There are many reasons why your credit card application might get rejected. Let’s list a couple of them, see what problems you might encounter and possible solutions. To get your application approved you need to be at least 18 years old. You must have at least a minimum income if you want to have a credit card. A salary that is less than the minimum income cannot pay all the fees that a credit card comes with for too long. Or at least, you won’t be able to pay all the fees if you happen to apply for a loan as well. This is why a bank won’t bother with someone who has a small income; that person won’t be able to keep up with all the fees and taxes in the long run. The solution would be to give up on the idea of getting a credit card but instead to find a better-paying job. Speaking of salaries, if you don’t have a stable job, then your credit card application will be declined. If you have a temporary job or a part-time one, then your application might get rejected, or it will be accepted after a very long process. If you have been constantly switching jobs, this might not make you very trustworthy in the eyes of your lender. This also applies if it’s difficult to get information about your workplace. Do you have more expenses than your income? Well, your lender may see you as a high-risk, and he might decline your credit card application. Try to reduce your debt, your taxes and also try to find another way to boost your income. Thus, you might change the way your lender sees your application. A very common mistake that can make your credit card application declined is offering wrong personal information. Your ID, your driver’s licence, your address, every piece of information is saved in a database. If a number is wrong, that information cannot be verified, and your application will be declined. Also, recent events that made you change your address or workplace can affect the process of getting your application approved. You will need to provide your lender or bank some update regarding these details so that they won’t use old information. Before the lender approves your credit card application, he/she will check your credit score to know if you are a risky borrower. If you have bad credit, then it would be a good idea to bring a co-signer. This will really lower your chances of getting your application rejected since it basically tells your lender that if you won’t be able to pay your debts, someone else will. Lastly, do not apply for too many cards at once because this will only lower your chances of getting your credit card application approved. Do some research and find a bank that suits your needs best. Also, before you apply, check if you meet that bank’s minimum requirements. What Can I Do to Increase My Chances of Getting the Application Approved? Try to get a stable job with at least a good income. When you complete an application for a credit card, make sure that the information you are providing is accurate. Show your credit file so that the lender knows that you are not struggling with your finances or have more expenses than income. Try your best not to be in debt and pay all your taxes on time. Getting a credit card application approved shouldn’t be too hard. Just make sure that you meet the minimum requirements and pay attention to details. 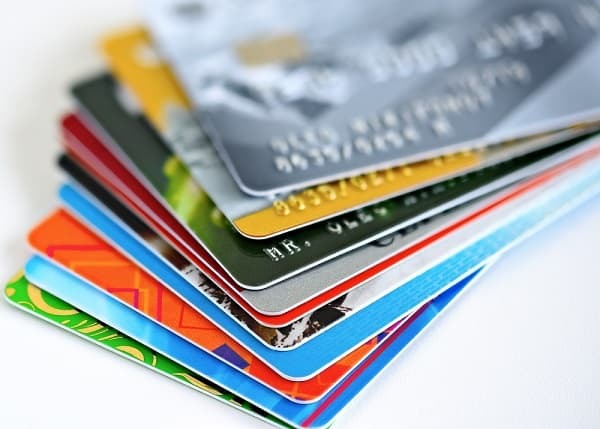 Contact us for a free consultation about what you can do to prevent the rejection of your credit card application. Remember that every rejection will stain your credit history, so do your best to avoid that.